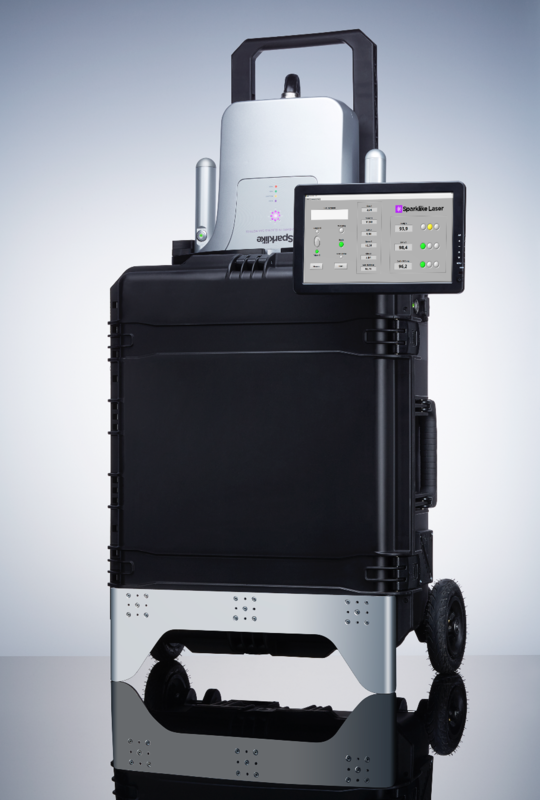 In Sparklike Laser Portable™, the whole system is integrated into a heavy duty case with wheels and a battery for mobility in factories and building sites. Data logging capability is virtually unlimited. All Sparklike Laser devices are developed and manufactured in Finland. *Sparklike devices™ are based on our proprietary and patented technology, which allows the analysis of insulating gas concentration — without having to break the insulating glass unit.